The City of Southfield’s vision is to transform its parking-oriented city core along Evergreen Road into a walkable and more pedestrian-friendly gathering space with the hope that it will become a catalyst for retail and restaurant development. 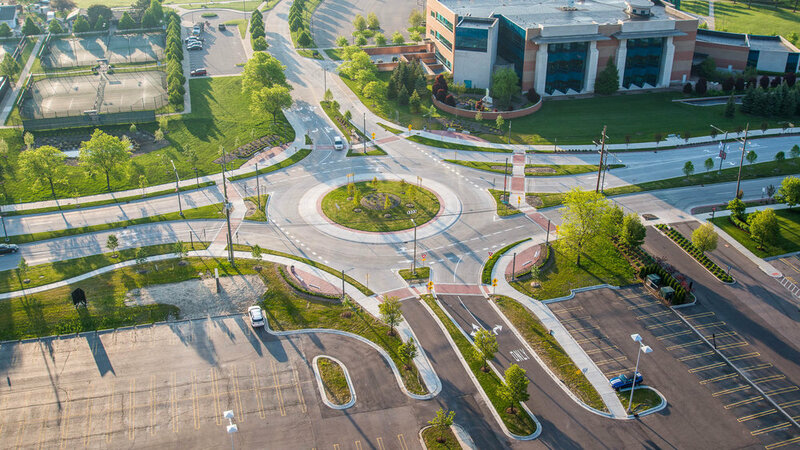 This project’s main thrust was to slow traffic by reducing Evergreen Road from seven traffic lanes to a four-lane boulevard, complete with two traffic roundabouts. 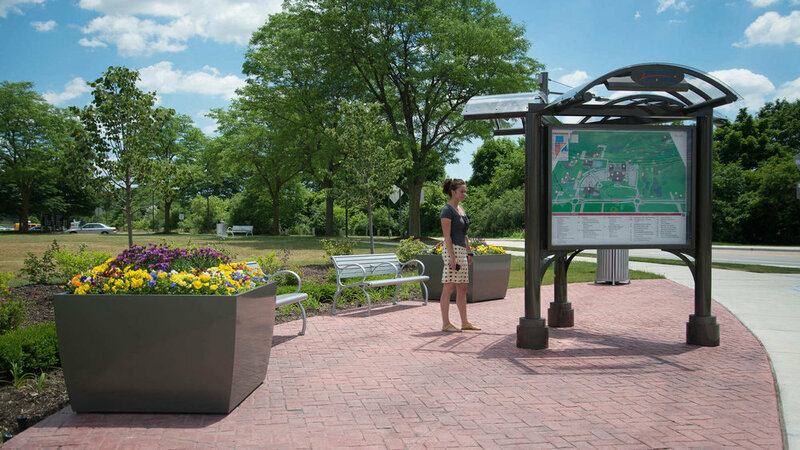 To encourage pedestrian use, the following amenities were incorporated: ornamental hardscape, site furniture, sculpture, lighting, landscaping, irrigation and way-finding and historic interpretive panels. Innovative stormwater control features were also integrated by the introduction of permeable paving, continuous roadside green belts and a rain garden with native plantings.